The last post looked at Maxim Martin. This post will look at Martin Matte. Martin Matte’s own career is not unlike that of the other two celebrities in this “Three Martins” blog-post series. 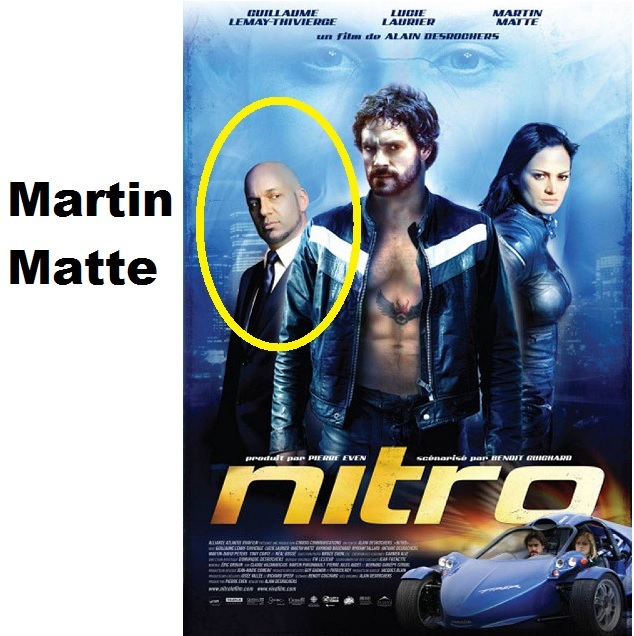 However, of all the three Martins, Martin Mattes’ career has perhaps seen the biggest success. He has been one of the most high-profile, highly sought after celebrities of the last couple of years in Montréwood. For the sake of comparisons, in terms of his celebrity status (if I were to compare him to other celebrities in the same age bracket), his star power perhaps is to Montréwood what Matt Damon’s would be to Hollywood (although their career paths and focus are very different). Martin Matte’s background was stand-up comedy, from which he launched his career in the 1990s — and which he still occasionally does (he was one of Québec’s most successful comedians of the 2000’s). But since then, he has gone on to become a very successfully sitcom actor and charity activist. His longest sitcom career was on Caméra Café for 4 years (until 2006). He now is the main actor in the very successful sitcom, Les Beaux Malaises on TVA. Click HERE for a funny scene between Martin Matte & Guylaine Tremblay (the subject of an earlier post) on TVA’s website. One of the main reason he has become quite popular is because of his regular television appearances. It is difficult to not see him, almost on a daily basis, somewhere on Montréwood television. He is regularly on the most popular talk shows (for example, I think he has probably been on Tout le monde en parle more than most semi-regular guests). He’s often seen in television advertisements and he’s usually front and centre in television gala events, as well as a regular on morning and daily variety shows. Regardless of where you are in anglophone Canada, If you’re just starting to watch Francophone television, Martin Matte is a must-know in order to help sort out the “who’s who” in your mind. The official website of his charity foundation is here: http://www.fondationmartinmatte.com/. By Quebec Culture Blog 101 in Comedians, Television Personalities on February 27, 2015 .